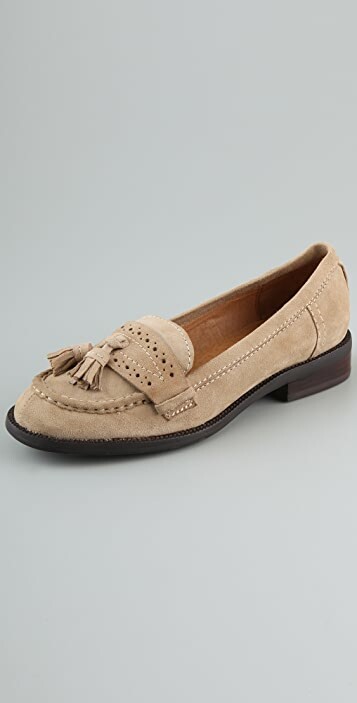 These suede loafers feature a perforated overlay and a tassel at the vamp. Stacked heel and rubber sole. Knew it was too small the instance I unwrapped it. Felt like one size too small. The particular shade of khaki also didn't look good on me. Had to return. super comfy! I'm 7.5 and have wide feet, so I orderd 8 and it's roomy. I think this shoe is definately true to size, no need to size up:) love it. wanted to order them but luckily ran into them in one of the shops and tried them on. 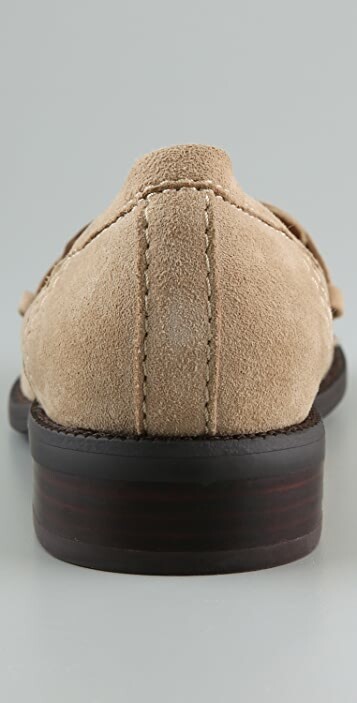 quality is good and the suede is nice and the color is awesome, and there's a BUT - they are heavy. i didn't expect it and was quite disappointed, so i decided not to order them - it's not gonna be the easy walking i like. I loved these so much I got them in black, and in blue. I get so many compliments on them. They are super comfortable to walk around in. They stretch A LOT, so dont worry if they feel tight when you get them. after reading the reviews, everybody said they fit smaller than expected. I decided to take a gamble and get my usual 8 anyways. For the first few wears i regretted not opting for the 8.5, they were so tight and I was getting blisters. Once I'd broken them in (maybe 4 wears?) they fit perfectly and became some of the most comfortable shoes I own. I love them! 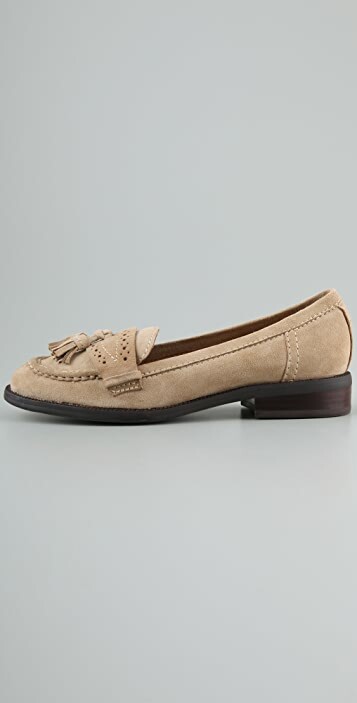 This pair is cute but I think it's bit overrated based on previous reviews..the color is lighter than I expected and it seems it is very easy to get dirty because of the sand color and suede texture..so I returned them. My European size 38 or 39. Everything depends on the shoes. I bought a size 9. Although you could buy size 8,5 These shoes are very cool and comfortable! Blue suede shoes - lovely! Really nice shoes! 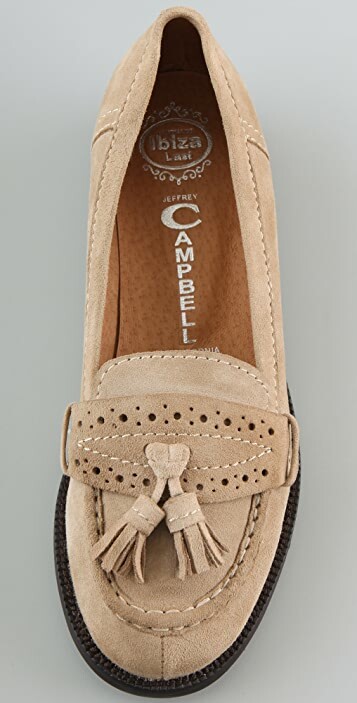 Got them in blue: adorable color, soft suede, very well made and comfy, except that they do run small. I am usually 38 european (7,5 and 8 depending on shoes) and ordered 8 but found them a little bit tight in length (end-to-end). However, going to keep them - the suede is very soft and i think it'll stretch a bit. Give them 4 points for the strange smell of rubber sole - hope it will disappear outdoors.